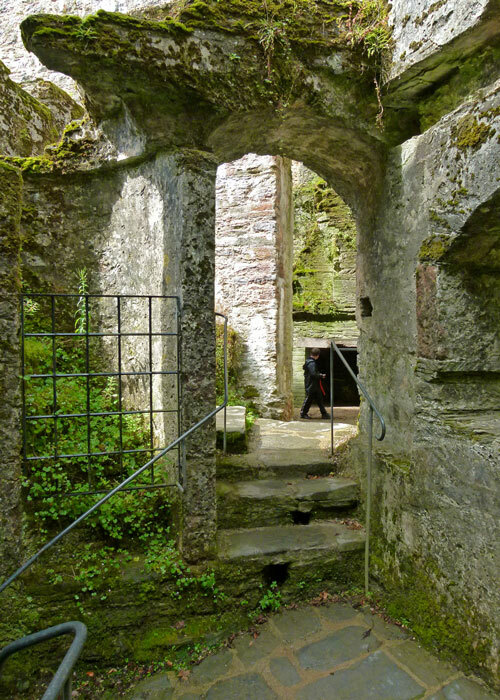 Is Berry Pomeroy one of the most haunted castles in Britain? It seems that either the white or the blue woman-spirit will get you. The White Lady is reputed to be the ghost of the beautiful Lady Margaret Pomeroy, imprisoned by her jealous (and less attractive) sister Eleanor for the crime of being in love with the same man. It is said that she was starved to death, alone in the tower that now bears her name, and that her spectre lures unwary travellers to fall to their deaths far below the battlements. The Blue Lady is altogether a different kind of phantom. Dressed in a long, hooded, cape, legend has it that, in life, she was daughter to a baron of Pomeroy; her spirit now restlessly wanders the castle grieving her dead baby – fruit of an incestuous relationship with her father and strangled by one of its parents (stories vary). 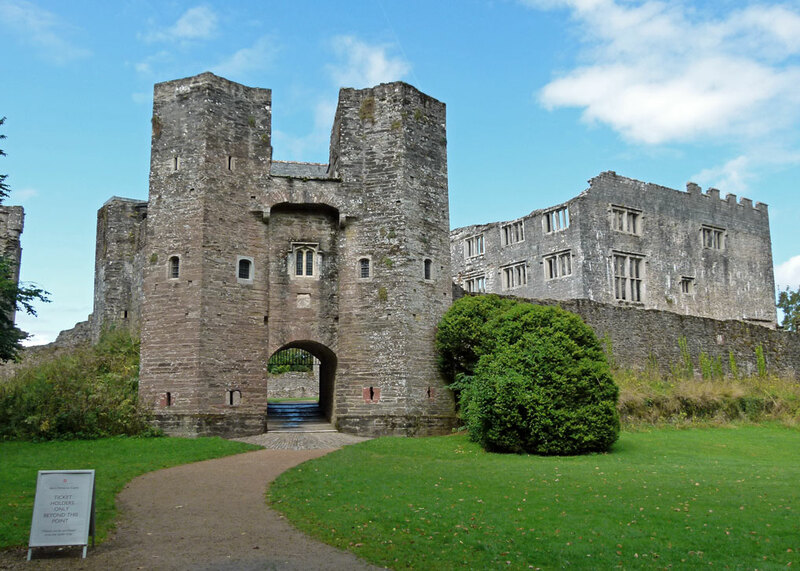 Sight of the Blue Lady is meant to portend a death, or the demise of a member of the Seymour family, who bought Berry Pomeroy Castle from its original owners. Whatever the grisly fiction behind these tales, both apparitions seem to be a little unreasonable, if not downright unwelcoming. There is a further story of two brothers Pomeroy, fully armoured, galloping their blindfolded horses off the battlements rather than surrender to the enemies besieging the castle; well, you would, wouldn’t you? We can be pretty certain that none of the above is based on historical fact. But the stories don’t end there; Berry Pomeroy Castle in south Devon really does have something of a reputation, with more than its fair share of bumps in the night, black dogs, creepy moans, ear-splitting shrieks, strange lights, uncomfortable sensations of malevolence, icy temperatures and translucent/disappearing figures dressed in costumes of yesteryear. The castle is on the edge of Berry Pomeroy village, a couple of miles to the east of Totnes. Built on a promontory overlooking a steep sided valley on three sides, the fourth part of the rectangle is guarded by a massive medieval gatehouse and curtain wall; it is an impressive, yet romantic and undeniably brooding, kind of place. William the Conqueror granted the manor of Beri to Ralf de Pomaria, a knight from La Pommeraye near Falaise. But, contrary to what you may read elsewhere, the castle is not Norman. It seems the Pomeroys probably lived in a manor house and did not get round to building a castle until the late 15th century, when the family supported the Yorkist cause during the violence of the Wars of the Roses. This part of England was, anyway, one of the most lawless in the kingdom, prone to family feuds. 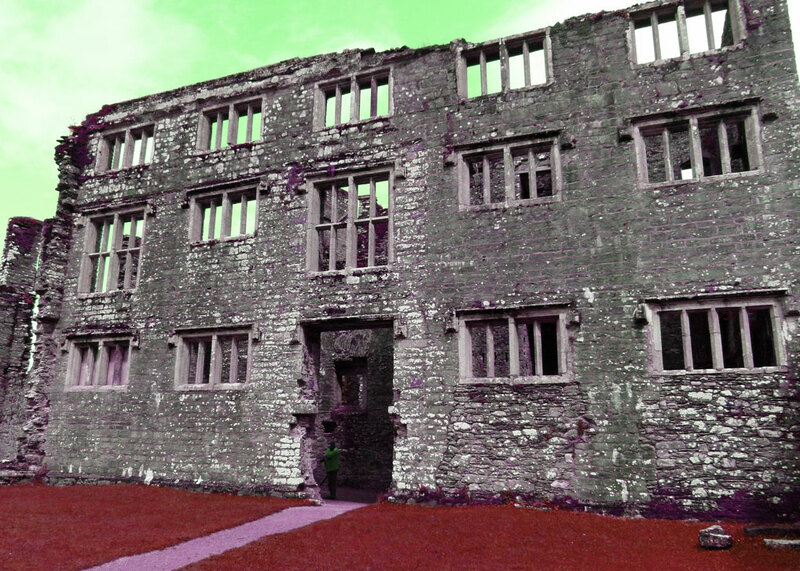 Edward Seymour, Earl of Hertford and Duke of Somerset, bought Berry Pomeroy Castle in 1547. Seymour was at one time probably the most powerful man in the land, after the king. He was brother of Henry VIII’s third (and favourite) wife, Jane Seymour, and Lord Protector to his nephew, Edward VI during the latter’s minority. Victim of a palace coup, he was executed in 1552 and possibly never even visited his south Devon property. Seymour’s eldest son by his first marriage, also called Edward, inherited and developed a fashionable Elizabethan home within the castle walls. 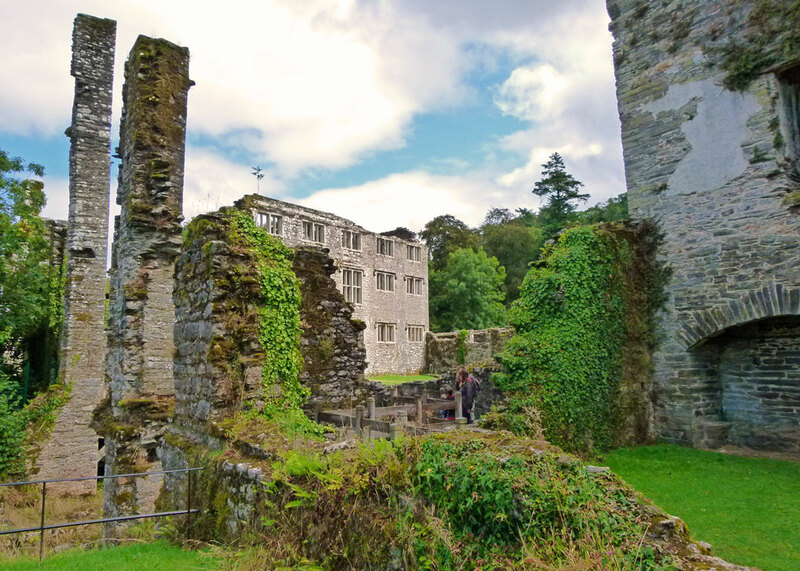 His son, another Edward, inherited Berry Pomeroy in 1593 and from around 1600 took things even further by transforming the house into a Jacobean mansion – albeit a relatively small one given the somewhat restricted site. Edward died in 1613, his mansion unfinished. It was not completed by his son, or grandson; money was, in any event, short. 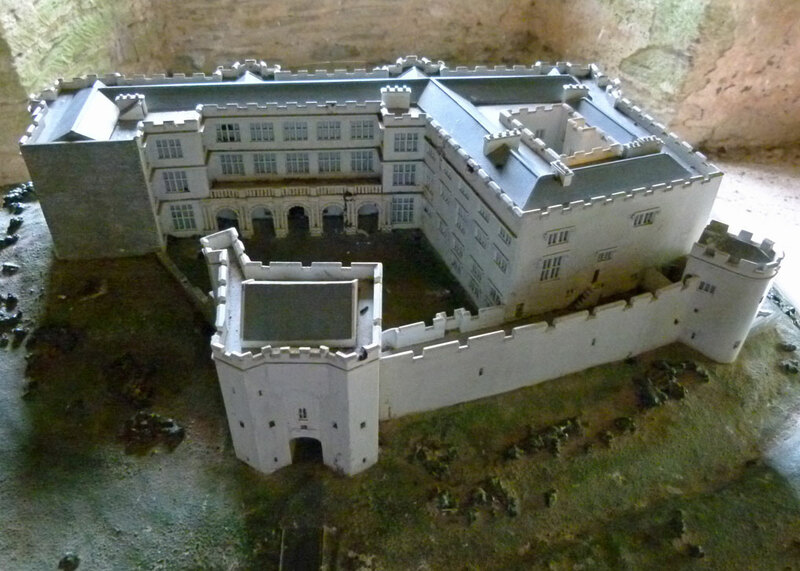 The Royalist Seymours and their castle survived the English Civil War of the 17th century – Berry Pomeroy was never besieged. But the 4th Baronet – imaginatively called Edward, but known as ‘Ned’, or ‘Speaker Seymour’ (he was Speaker in the House of Commons) – had interests elsewhere; so after his mother died in the mansion in 1694, he removed whatever he wanted to salvage and, by 1734, the place was a ruin. Ivy-clad and emerging through woodland like something from a long-lost civilisation, it is hardly surprising that stories started to be told about the place. The castle is still owned by the Duke of Somerset, descendent of the Seymours, though it is now in the care of English Heritage. And what they present us with is the preserved wreckage of a compact Elizabethan/Jacobean mansion inside a late medieval fortress. 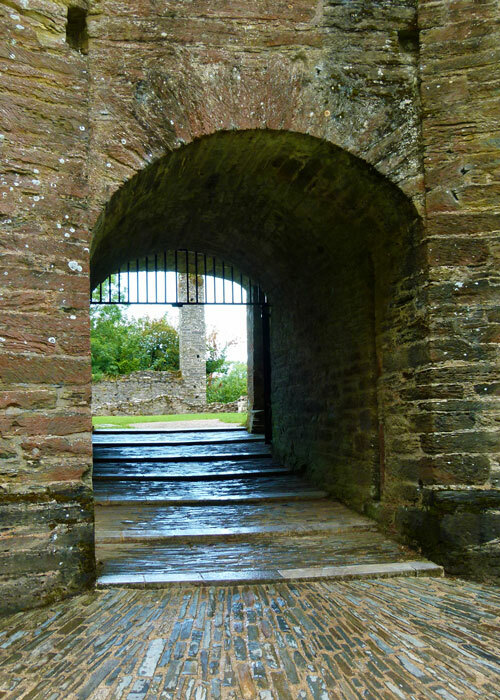 The medieval gatehouse, which originally would have been reached by a drawbridge across a moat, had a traditional portcullis and includes a machicolation – an overhanging slot for defenders to use to chuck nasty, often very hot or heavy, things down onto the heads of attackers. But the gatehouse, surviving curtain wall and St Margaret’s Tower, also include carefully arranged ports for guns – very sophisticated for their time. 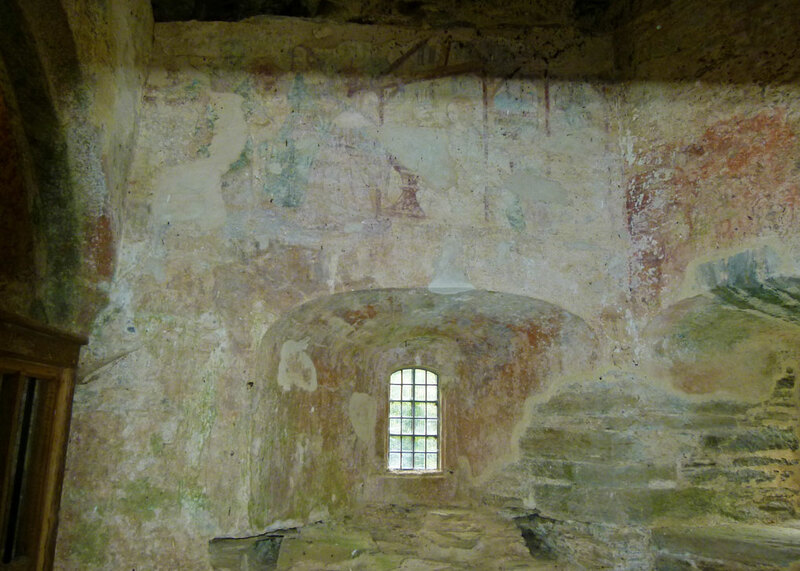 On the first floor of the gatehouse is the remains of a 15th century wall painting, which depicts the adoration of the Magi. Possibly, this part of the castle was once the chapel. Even now, the mansion, with its fine stone window frames and mullions, impresses. The Seymours, time – and no doubt a few local thieves and builders – have not left much of it, though, so it takes a fair amount of imagination to picture it as it might have been – but do try, won’t you? The English Heritage guide book shows some fascinating reconstructions, which will help. Traces of the loggia that once provided access off the northern side of the courtyard to the great hall can still be seen. The great hall, with its roaring fire, decorative ceiling and rich tapestries, would have been above your head on the first floor; above that, the long gallery, where exercise could be taken, was 213 feet (65 metres) in length – even longer than the far more famous one at Hampton Court. In the north-east corner stood the great timber staircase, providing access to the hall, gallery and chambers. This was once someone’s home. It is hard not to feel a little sad at the collapsed dream – Uncle Edward’s place is in ruins now. Whimsically, I think this could happen to anyone’s house project and extension – albeit most of us live in somewhat humbler surroundings. Everything is relative; but I doubt they’ll be selling tickets to take a butchers around Acacia Avenue after we’ve gone. Unless we come back and haunt the place, of course. I kept meaning to come back and red this Mike (I’ve been terrible about keeping up!). I remember visiting Berry Pomeroy many years ago when I was at school and doing a project on castles. It’s a very atmospheric place and it’s lovely to re-visit it again with you! Interesting Post. Would love to see those old castle’s for real. They are awesome structures! What I’d like to know is how did they heat those huge rooms back in there day? Thanks for dropping by. 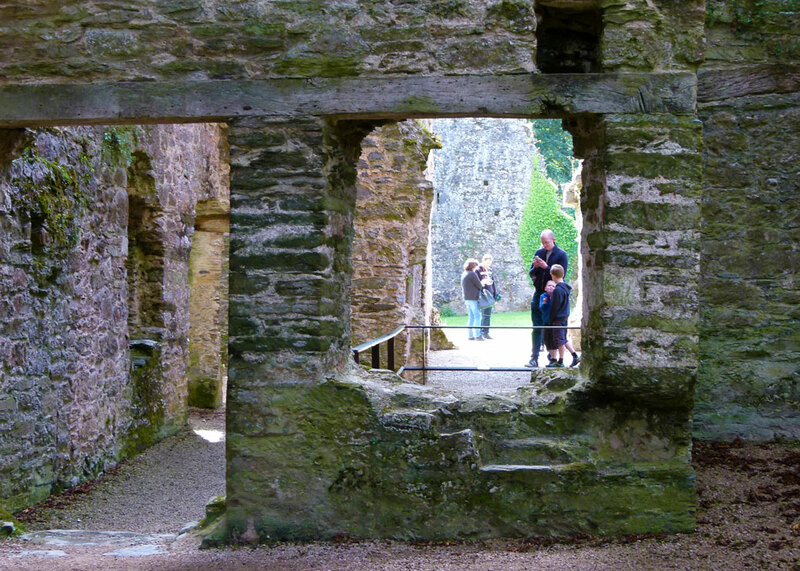 Good question – huge fires was the only means of heating; I’m not sure when glazed windows appeared – certainly by Tudor times, but they were very expensive. Always wondered about heating those huge, beautiful castles. Guess we might never know. Your Welcome, Sir. I think they just wore a lot of clothes and hung tapestries on the walls to keep the drafts at bay. Lots of furs and quilts on the beds. And had big smoky fires. 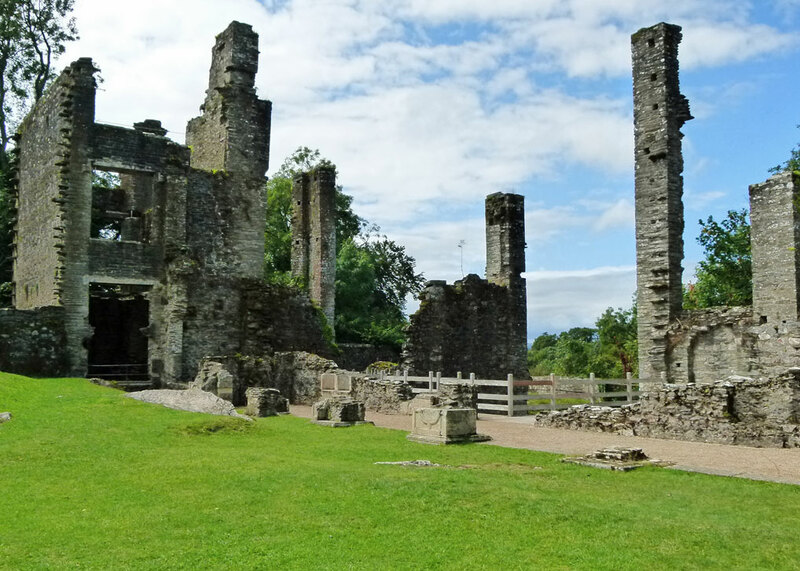 Uour ruined castle and old homes visits make me think of our trips around England and Scotland, and long to go back to see some more of them! Places like this are so mysterious, fascinating … and could be worth a visit! Hoping the new week goes well for you. Didn’t this place feature in “Britain’s Most Haunted” or some silly series like that? Two years or so ago, I was housebound with a nasty cold and didn’t know what to do with myself. Quite by accident, I stumbled across the series on youtube, and became obsessed with watching each and every episode, finding it highly entertaining, especially when most of what was allegedly paranormal activity was so obviously caused by perfectly natural things. The castle ruins look intriguing and mysterious, just like any ruined or abandoned place looks to me. My mind works overtime then, trying to picture its former state and making up stories about what life was like back in the day. They built amazing homes in those days. It has a colourful history and the ghosts would spook me. A lot of history there. The place looks rather imposing- it’s not hard to imagine ghost stories!